Hey guys, Transyltown turns two years old this Thursday! A lots happened in that time frame, but one of the most exciting things is that I have gotten much faster at drawing! 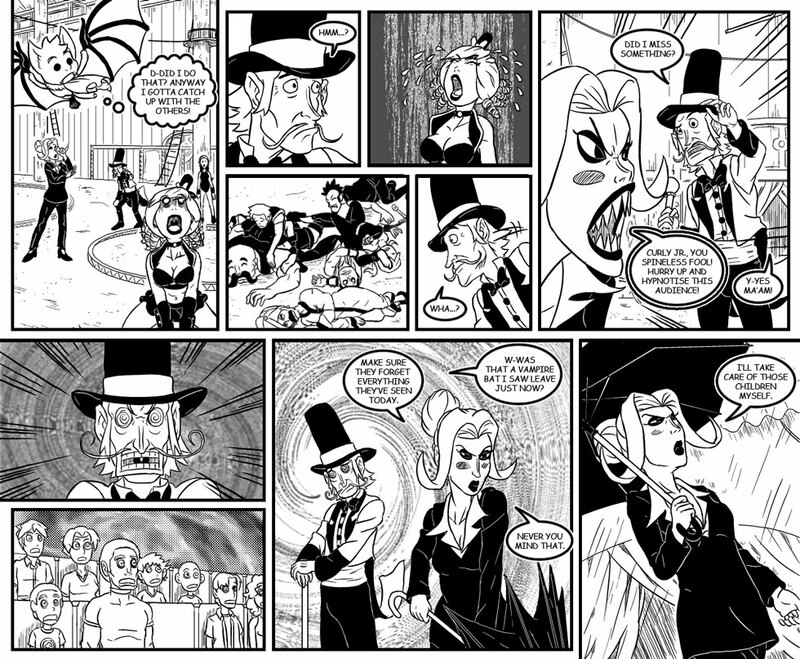 So starting this Thursday Transyltown’s updating twice a week on Tuesdays and Thursdays. The vote incentives will stay with their regular schedule of Mondays Wednesdays and Fridays. Thank you so much everyone for reading these past two years. I hope you can continue to enjoy my silly little tale. He hypnotized the entire audience? o.O And can now rewrite their memories at will? Poor guy wouldn’t even know what to do after shaking the world, lol. Let’s just pray he never becomes/is found by a “powergaming” poltician/businessman. Sir, I think you just described all the politicians in OUR world. I used to feel the same way, but lately I’ve become increasingly concerned with politics. Especially the more I become interested in the sciences, and how I see science treated in America. I live in Canada, so I live in a nation that is currently considered a “terrorist nation” by George Bush. He exact words, “If you aren’t with us, you’re with the terrorists.” Guess every nation except England is a terrorist country eh Georgie-porredgy? I am so envious of Canada’s health care. It’s so sad that I’m actually counting the days until I’ve been at my current job long enough to qualify for the health care benefits.